The tale of Walter White and Jesse Pinkman may have finished a few years ago now, but they’ve been held close in fans’ hearts ever since. Perhaps that’s thanks to Better Call Saul carrying on the legacy, keeping viewers entertained in the wake of the shocking ending to Breaking Bad. Perhaps it’s because the Emmy-winning series was so successful that roles of Walter White and Jesse Pinkman will always be what Bryan Cranston and Aaron Paul, respectively, are best known for. Either way, with a show as memorable and successful as Breaking Bad, it was inevitable that talks of a movie would surface sooner or later. Now, however, it seems a film version of the teacher-turned-drug dealer series is imminent, and it could be landing directly into our homes rather than the big screen. As reported by Deadline, and later verified by Variety the movie is likely to air on Netflix and AMC, the networks which carried the original series when it first aired. Episodes initially aired on AMC, before moving to Netflix not longer after. However, word on the streaming street is that the networks may have their roles reversed, with Netflix getting their hands on the film first. Both networks are credited with the show’s success, as the series’ creator Vince Gilligan acknowledged their contribution to the drama during his acceptance speech when Breaking Bad won the Emmy for best drama series in 2013. I think Netflix kept us on the air. Not only are we standing up here, I don’t think our show would have even lasted beyond season two. It’s a new era in television, and we’ve been very fortunate to reap the benefits. 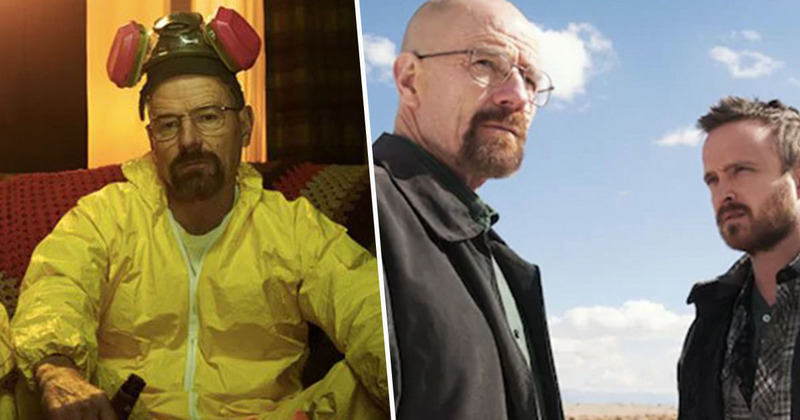 It’s been ten years since the show began, and though Bryan Cranston isn’t sure whether Walter White will make an appearance, he did confirm that a movie is on the way, though the creators seem to be keeping details close to their chests. Yes. There appears to be a movie version of Breaking Bad, but I honestly have not even read the script. I have not gotten the script, I have not read the script, and so there’s questions of whether or not we would even see Walter White in this movie. If Vince Gilligan asked me to do it, sure, absolutely yeah. He’s a genius, and it’s a great story and there’s a lot of people who felt they wanted to see some kind of completion to some of these storylines that were left open. This idea, from what I’m told, gets into a couple of the characters who were not completed as far as their journey. Regardless of the delivery system – Netflix or otherwise – I can’t wait to see the next instalment of the Walter White saga. It’s since been revealed by sources close to the project that Aaron Paul will star in the film, which will explore Jesse’s life since escaping Todd and the neo-Nazis.